You need to keep the skin underneath your beard healthy and moisturized in order to have a healthy beard. 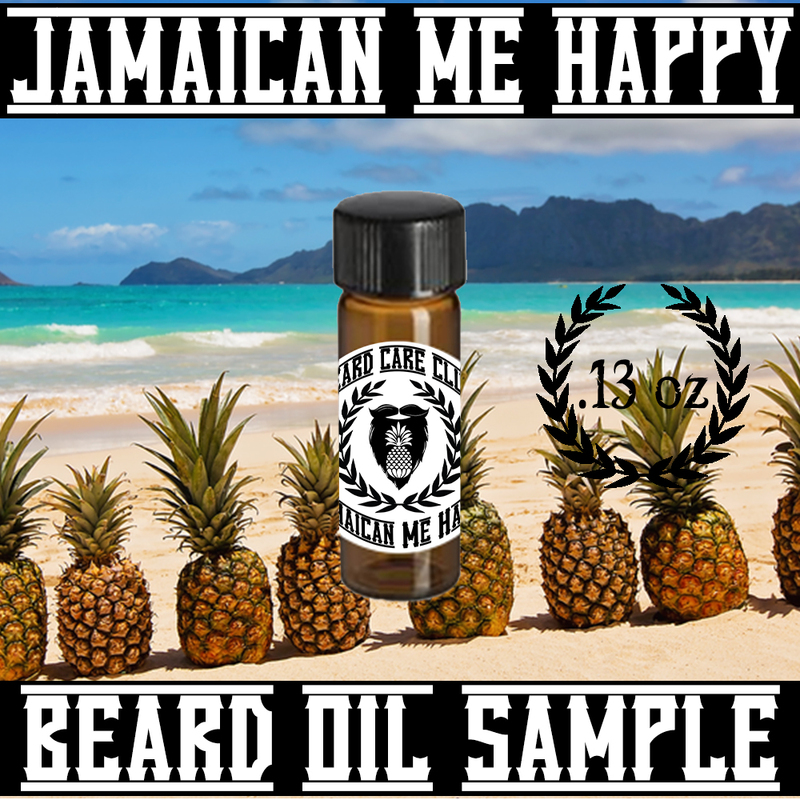 Our Jamaican Me Happy Oil contains all natural ingredients to help condition your beard as well as promote beard growth. Beard Oils help keep the skin under your beard free of "beardruff", A.K.A beard dandruff, while leaving it itch free, soft, and manageable. Imagine yourself on a warm Jamaican beach with your toes in the sand, the smell of pineapples and coconuts in the air, and a cold drink in your hand. This is what Jamaican Me Happy is all about. This scent can be worn year round and is great even in those winter months, bringing you back to a warmer time of year.